Now, don't think that only Globe has the upper-hand on free internet tricks, because SMART also has it. This trick can also be use on Talk N Text SIM, so before we start, lets check the requirements first. Finally, enjoy browsing and downloading for free. Note: This free internet trick on SMART is not made by me, I am not responsible for any damage to your phone by following the instructions above. As always, do this at your own risk. Tried it just now. Not working at all. 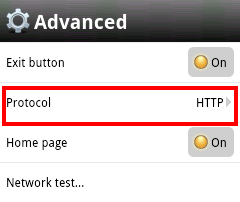 what if i cant find settings>advance>protocol> and set to http?? what do i need to do ? to access this free surf? anu po ibiG sabihin na default APN TYPE: maam/sir..
#medyu nalitu ng kunti :-? Gumagana pa ba ito hangang ngayun? social promo has already ended.. wala na bang iba bro?